“On the 21st day of December, 1789, a society was formed in Calcutta, for the purpose of providing the means of education for all children, orphans, and others, not object of the care of the (Military) Orphan Society. The management of this new society was confided, under the patronage of the Governor-general, to twelve governors, viz., the chaplains, churchwardens. Sidemen, and six other gentlemen resident in Calcutta chosen by the subscribers. The governors visit the school in rotation, and meet monthly. The funds were to be raised by a ratable contribution from the civil servants of the Company, and such other contributions as might be procurable: the superintending masters and teachers, male and female, to be elected by the governors: the plan of education to be that usually followed in free schools : the children to be recommended by the subscribers. 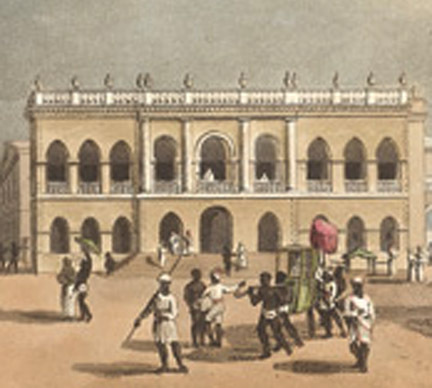 The featured picture above represents the view of the Old Court House inside Fort William, Calcutta – the first fortress built by the British after their establishment in Bengal. Though this building is commonly known as the Old Court House, it actually did belong to the Charity School, where the old Court, and also the Town Hall were mere impermanent occupants. The painting is one of the ’24 Views in Indostan(sic)’ composed by WilliamOrme based on a work by Francis Swine Ward (1736-94). The first Charity School in Calcutta was founded somewhere between 1726 and 1731. The Charity School and later, its successor, the “Free School” began life as the School, on a site on which today stands the Scottish Church, in Dalhousie square, adjacent to Writer’s Buildings. The Mayor’s Court moved to this two-storied building belonging to Charity School in 1732, which also accommodated the Town Hall of Calcutta for a while. The School was established to provide education for European orphans and children of poor Anglo-Indians in the city. The education given by the School is of a ‘plain practical character and the boys generally become signalers in the Telegraph department, assistant apothecaries, writers in Government offices and mercantile houses, overseers of plantations, or obtain employment on Railways or in printing establishments, printing being an art successfully taught in the School.’ The Calcutta Review of 1866. 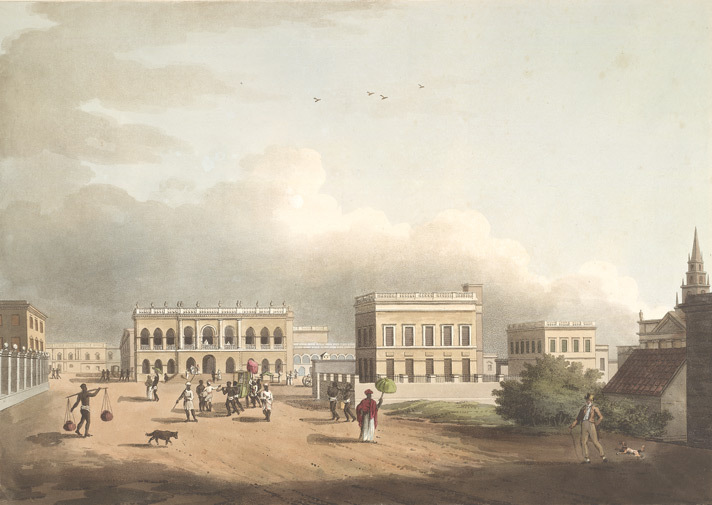 The Free School, engrafted on the Old Charity School, founded in 1742, and later settled in “the garden house near the Jaun Bazar *, 1795.” The purchase and repair of the premises cost Rs. 56.800. The public subscriptions towards the formation of the charity amounted to Rs. 26,082, of which Earl Cornwallis gave Rs. 2000. 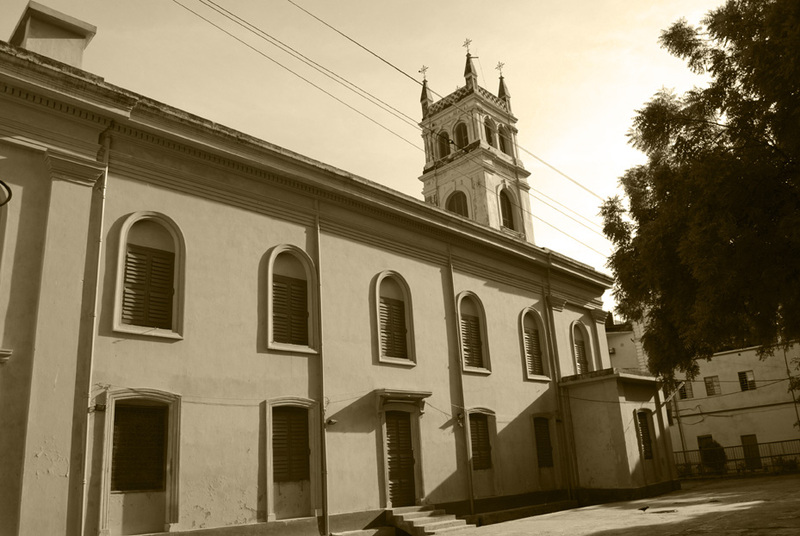 The Free School at this period (1792,) was located in “the second house to the southward of the Mission Church.” – All these we know from ‘Good old days’ of Rev. William Carey.